On March 14, 2016, the American Board of Medical Specialties (ABMS) announced that addiction medicine is now formally recognized as a medical subspecialty. That’s great news for the Department of Family Medicine and Community Health’s (DFMCH) Randall Brown, MD, PhD, FASAM, a national expert in addiction medicine and director of the DFMCH’s addiction medicine fellowship. The American Board of Medical Specialties recently recognized addiction medicine as a medical subspecialty, paving the way for ACGME accreditation of the DFMCH’s addiction medicine fellowship. “This is truly a major step forward for the field and for the improvement of systems to prevent and treat substance use disorders in the U.S.,” noted fellowship director Randall Brown, MD, PhD, FASAM. Dr. Brown was also recently elected to two national addiction medicine boards. In addition, Dr. Brown was recently elected to the Board of Directors of the American Board of Addiction Medicine (ABAM) and the ABAM Foundation, two national organizations that work to ensure that physicians have the necessary education to prevent, identify and treat addiction. The announcement further helps raise awareness that addiction is a preventable, treatable disease—one that for decades has been plagued by stigma and misunderstanding. It also opens doors for medical students, residents, fellows and practicing physicians interested in specializing in addiction medicine. Specifically, AMBS recognition makes it possible for addiction medicine fellowship programs, like the one at DFMCH, to seek formal accreditation by the Accreditation Council on Graduate Medical Education (ACGME). Established in 2010, the DFMCH’s addiction medicine fellowship was one of the first of its kind in the nation. Four fellows have entered the program to date. In his leadership roles at the ABAM and ABAM Foundation, Dr. Brown is working closely with the ACGME to formalize national curricular guidelines for addiction medicine fellowships. ABMS recognition also paves the way for health network inclusion for addiction medicine specialists, as well as acknowledgement that those who provide this level of care meet the “gold standard” in board certification. “This is truly a major step forward for the field and for the improvement of systems to prevent and treat substance use disorders in the U.S.,” noted Dr. Brown. 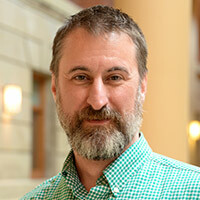 “Each year, fewer than 10% of individuals with substance use disorders receive needed treatment, in large part because physicians in general medical settings are not adequately educated on assessment and management, and because addressing addiction and related health issues has previously been relegated to specialist treatment programs and peer support groups, which tend to be insulated from the mainstream health care system,” he continued.